“Here lie the victims of the Great Plague of the 14th Century, taken here on a sledge drawn by a white horse led by an old woman”. 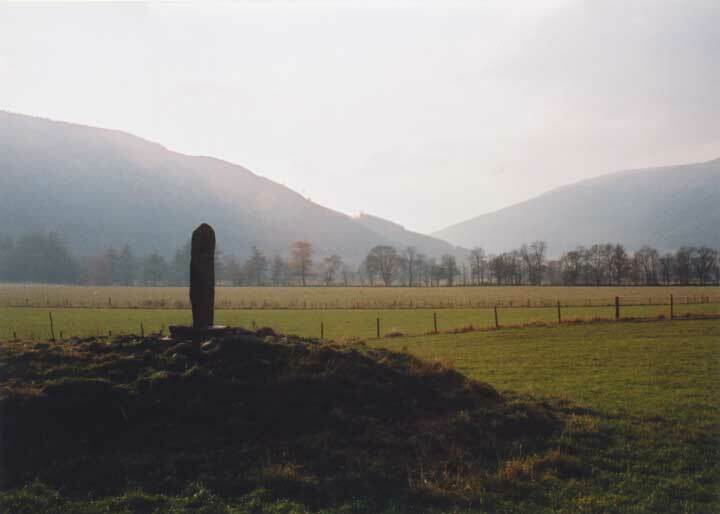 However, just as there is a belief that the mound is a barrow which was re-used, Clach a’Phlaigh may well be a genuine standing stone. If this is the case, there is another similar site nearby – the Bridge of Lyon cairn – which is also made up of a mound topped with a standing stone. Where is Clach a' Phlaigh? Clach a' Phlaigh is in the parish of Fortingall and the county of Perthshire.